Soil Health Archives - Bio Huma Netics, Inc. 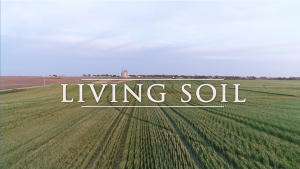 The Soil Health Institute has released a 60-minute documentary, Living Soil, that captures the history — and significance — of the soil health movement. Our soils support 95 percent of all food production, and by 2060, our soils will be asked to give us as much food as we have consumed in the last 500 years. They filter our water. They are one of our most cost-effective reservoirs for sequestering carbon. They are our foundation for biodiversity. And they are vibrantly alive, teeming with 10,000 pounds of biological life in every acre. Yet in the last 150 years, we’ve lost half of the basic building block that makes soil productive. The societal and environmental costs of soil loss and degradation in the United States alone are now estimated to be as high as $85 billion every single year. Living Soil captures the background of the current soil health movement and its momentum, beginning with painful images of the Dust Bowl, and then transitions to personal experiences of innovative women and men who are managing their land to enhance soil health. The film features rural and urban farmers from Maryland to California, selling everything from corn to bouquets, united by their care for the soil. The documentary is directed by Chelsea Myers, founder of Tiny Attic, a video production company located in Columbia, Mo. that specializes in documenting real moments and real people. To view the documentary, visit https://livingsoilfilm.com.